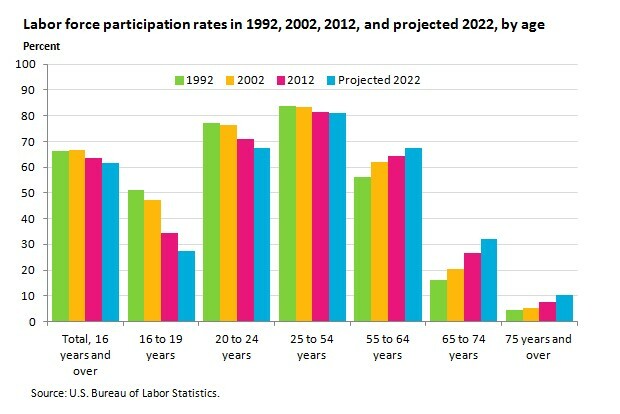 Workers aged 65 years and older are continuing to participate in the workforce past retirement age in greater numbers. 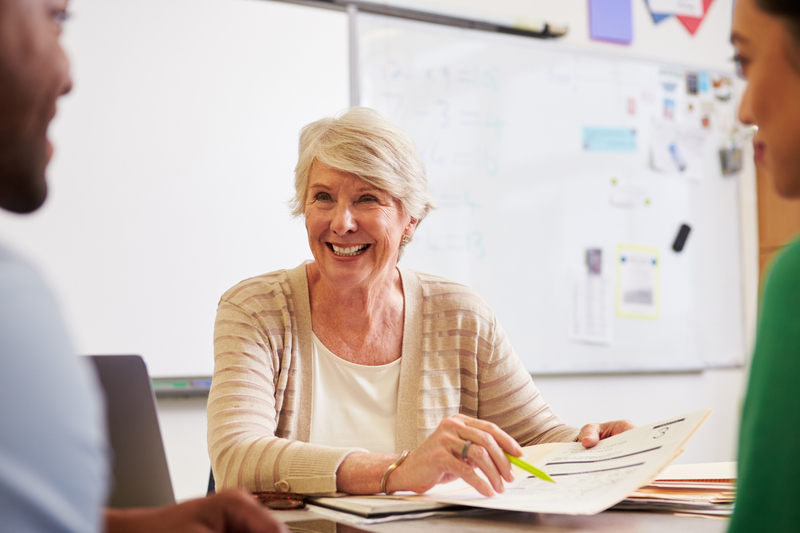 Recent projections by the Bureau of Labor Statistics show that by 2022, 31.9% of those aged 65 to 74 will still be working. 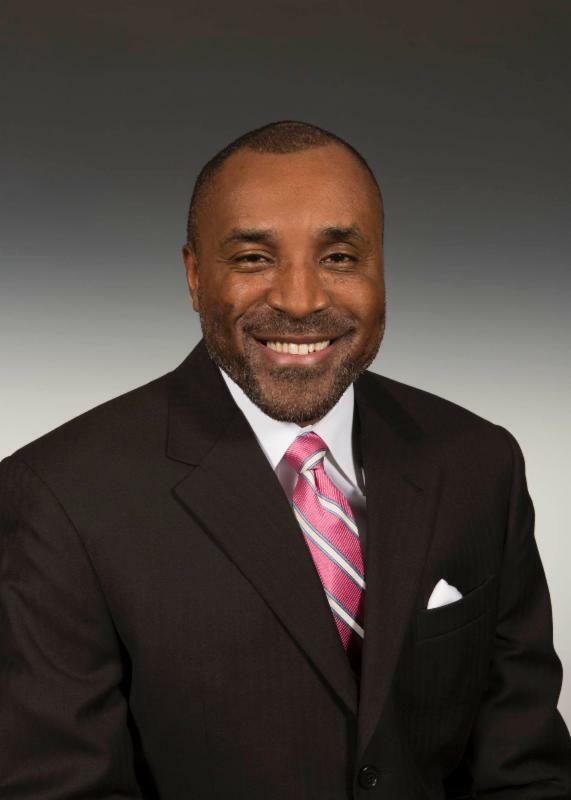 aging workforce presents a few considerations for employers. One issue employers may face is worker safety. However, the CDC notes that workers who are older tend to experience fewer workplace injuries than their younger colleagues. 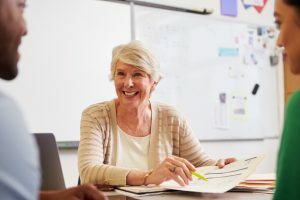 This decrease may be due to higher level of experience gained from longevity in the workplace, or because older workers may have higher levels of caution when performing their job duties. It is important to note that when accidents involving older workers do occur, they can be more severe and require more time for the injured worker to heal. This highlights the importance of having well-planned return-to-work and training programs in place. Read on for strategies from the CDC to keep your aging workers safe. Match tasks to abilities. Use self-paced work, self-directed rest breaks, and less repetitive tasks. Avoid prolonged, sedentary work. Prolonged, sedentary work is bad for workers at every age. Consider sit/stand workstations and walking workstations for workers who traditionally sit all day. Provide onsite physical activity opportunities or connections to low-cost community options. Manage hazards. Including noise, slip/trip hazards, and physical hazards – conditions that can challenge an aging workforce more. Provide and design ergo-friendly work environments. Workstations, tools, floor surfaces, adjustable seating, better illumination where needed, and screens and surfaces with less glare. Prioritize workplace flexibility. Workers prefer jobs that provide more flexibility over those that offer more vacation days. To the extent possible, give workers a say in their schedule, work conditions, work organization, work location, and work tasks. Weird Science? How About Safe Science! The Puget Sound Workers’ Compensation Trust recognizes the challenges facing schools when it comes to safe chemical use in a classroom environment. 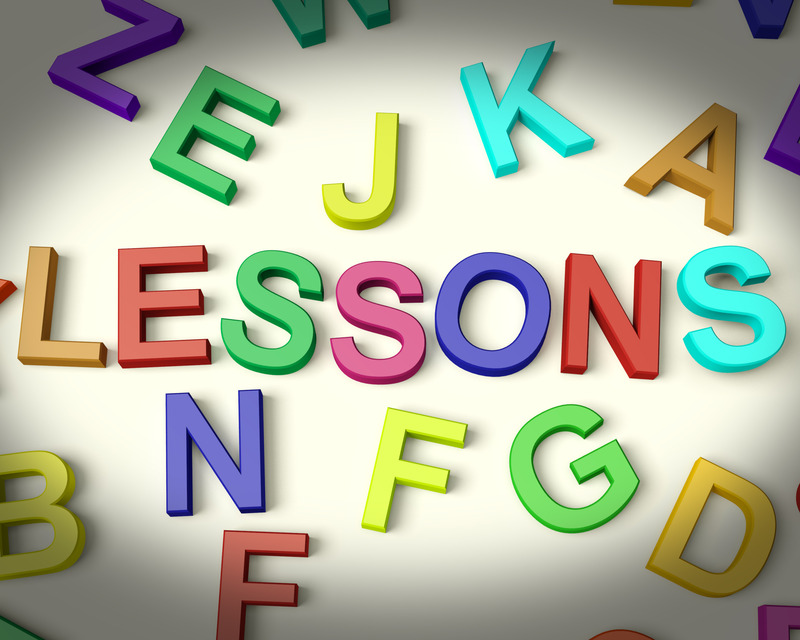 Although laboratory experiments are an exciting part of teaching science and an important tool for engaging students, these activities also come with a great deal of responsibility. Chemicals, when not properly handled, can be hazardous for both staff and students. 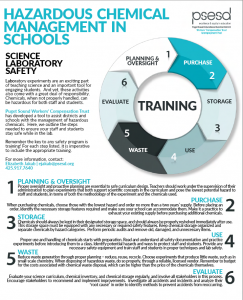 In order to better assist our districts in the management of hazardous chemicals, PSWCT has developed a tool, “Hazardous Chemical Management in Schools,” outlining the steps needed to help staff and students stay safe while in the lab. Remember the key to any safety program is training! 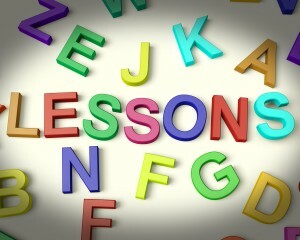 For each step listed in this handout, it is imperative to provide the appropriate training. We are here to support our member districts with the management of hazardous chemicals and to help you stay in compliance with the relevant regulations. Our industrial hygienist, Elizabeth Jakab, will be meeting one-on-one with our districts in the coming months to promote safe chemical use. Feel free to contact her with any questions at (425) 917-7640. Effective October 1, 2015, the Puget Sound Workers’ Compensation Trust will be adopting ICD-10 codes to align with the Washington State Department of Labor & Industries and the Centers for Medicare and Medicaid Services. How does this affect medical providers? You must code bills in ICD-10 for all dates of service on or after October 1, 2015. You must code bills in ICD-9 for all dates of service on or before September 30, 2015. If you bill with the incorrect ICD code, that bill will be denied. 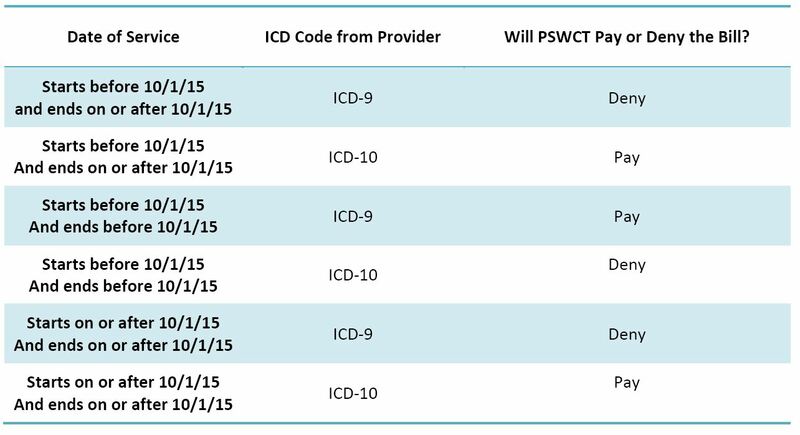 ICD-10s need to be on the Provider’s Initial Report (PIR) for dates of service on or after October 1, 2015. Medical records and chart notes will require a higher level of diagnostic detail than they did when using ICD-9. Use the tables below to determine how these codes will be processed. If you have questions or concerns, please call us at 1-877-955-9675. For additional information, you can also refer to L&I’s “10 Things Providers Need to Know About ICD-10 at L&I“. Two recent workers’ compensation decisions in Washington State highlight the importance of ensuring that workers’ compensation claim filings are timely and accurate. 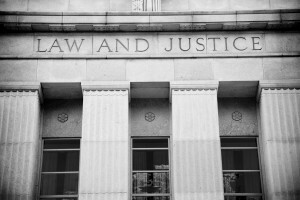 In a recently published Washington Court of Appeals decision, the court clarified the deadline to file a workers’ compensation claim. Workers have one year to file an injury claim; not one year and a day. The case, which was decided on July 21, 2015, involved a claimant who was injured on September 29, 2010, and filed his workers’ compensation benefits application on September 29, 2011. The court said that the claimant was a day late in filing his application: in effect, his application had to be filed on or before September 28, 2011, to be timely. However, it is important to remember: only injury claims have a one year timeline. There is a two year deadline for workers with occupational disease claims to file their claim. Occupational diseases are those medical conditions that develop slowly over years, like back problems from strenuous labor. 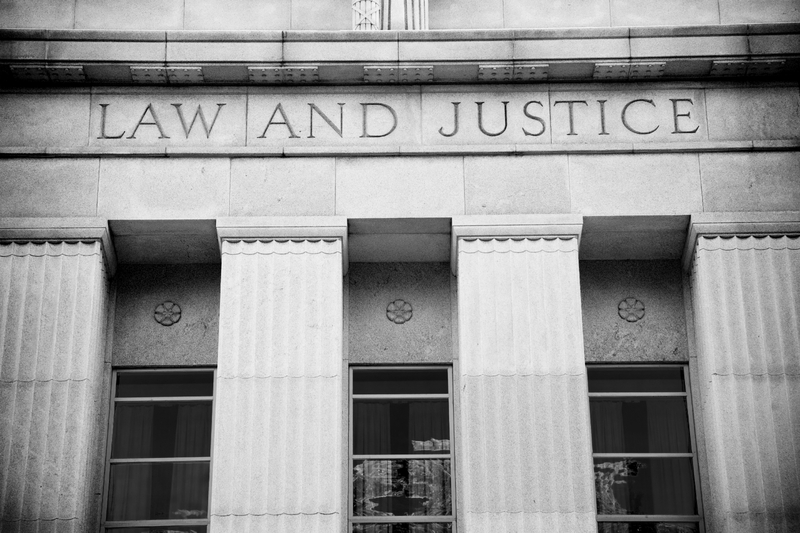 In another recent case in the Washington Court of Appeals, a claimant was severely injured and taken to the hospital, where he lost consciousness for a brief period of time. During this time, an application for workers’ compensation benefits was completed on his behalf. The worker later testified that although he had signed it, the rest of the form was not in his handwriting, and he did not know who had completed it. The worker also indicated that he could neither read nor write in English. The application indicated that the claimant was married with a child. In truth, the wife and child listed on the application were actually the claimant’s sister and niece with whom he lived. The Department of Labor & Industries (the Department) issued a wage order that included this incorrect information. The inclusion of a spouse and child in the wage calculation increased the amount of the claimant’s time loss compensation checks. About seven years after his injury, the claimant was placed on a pension and was sent information asking about his marital status. At the time of his pension, the claimant indicated that he was single at the time of injury. The court found that the Department did not have the legal authority to assess the claimant for the overpayment or to change his marital status for compensation purposes, because the error was a mistake by the claimant, not the adjudicator, and there was a legally binding final order setting the wage. There was no legal authority to reach back and correct a final order, short of a true adjudicator error or fraud perpetrated by the claimant, meaning the claimant did not have to repay the overpayment in this case. Moral of the story: check those wage orders for accuracy when they are issued while there is still time to appeal the case.